It is hard to imagine in the present time that some company produces over 20 models of turntables. And in the Austrian-Czech company Pro-Ject’s catalog we counted them straight 24. The model that we have tested is not included into catalog, but complete review, test and conclusion of Pro Ject RPM 1.3 Genie follows. Namely, the name of the tested model is RPM 1.3 Genie, while the company catalog available on the Internet only has an RPM 1 Genie model. What is different is difficult to say. Looking at the image of model 1 and comparing it with the 1.3 model, significant differences, especially those of conceptions, could not be perceived. And even when comparing the technical data of model 1 from the catalog and those in the user manual of the 1.3 model we have not even come across what distinguishes them. However, from tests of this model in the audio news world it can be concluded that, despite the marks, this two doles are very similar. The differences concern some improvements on the tonearm and the engine (invisible from the data) and the voltage changes from 12 V to 16 V. The biggest and only noticeable difference is the tonearm. Model 1.3 tonearm has silver-plated wires, and it is possible to set VTA and also azimuth (lateral tilt). 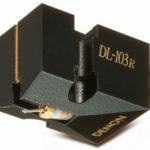 The tonearm has a pair of gold-plated phono connectors and allows the use of better interconnection cables instead of the supplied phono cable. All in all, therefore, as far as the difference is concerned, those who wish to own this gramophone should not “watch” the mark on it. Pro-Ject RPM (the mark comes from one of the key features of the gramophone – revolutions per minute / revolutions per minute) 1.3 Genie’s turntable look and layout works(pretty much) more expensive than its real price. The consequence is how much his design is of such a high quality. The very concept of a turntable is very simple, which ultimately makes it relatively inexpensive. If we do not count the tonearm and the cartridge, the turntable(base) has only three parts – a MDF stand in the form of a boomerang, a relatively thick but not particularly massive dish, also made from MDF, and a motor. The base in the center has an axle, on the right side a large opening into which the motor unit is inserted, on the left side is the factory mounted tonearm and on the underside are three rather high plastic pitches that are not adjustable in height. Which means that the leveling of the turntable will be a very tricky. The bearing is pressed into the center of the platter, which means that this is a “reverse” bearing- the axle does not enter the bearing, but the bearing nests on the axle. The bearing has a bronze liner(therefore no lubricating oil is required) and at the top of the metal ball into which the stainless steel axle is leaned, surface-reinforced with a chrome coating. So, all those who understand the turntable at least a little bit are already realized that this is a turntable without a suspension, without the casing and the lid. When it comes to suspension or absence of it, it is difficult to determine what is better. A turntable is a mechanical device that is extremely sensitive to vibration: both the ones created by itself during the work, as well as those from the base on which it stands or those from the air, mostly acoustically induced. They need to be either tampered with or try to reduce them as possible. Naturally, the latter is naturally occurring in designs without a suspension. So, the entire set has a small weight to keep energy shorter as possible. But is much easier to make small weight to resonate than large. Fortunately, wood is less susceptible to vibrate than metal. The motor is physically separated from the base, which certainly significantly reduces the possibility of transmitting vibration from the motor to the chassis. However, the tonearm is directly connected to the base with both the bearing and the axle of the turntable, two elements which at best can not be quite silent and non-vibrating. The drive belt is long and directly connects the motor pulley and outer edge of the plate. The speed of rotation (33.3 1/3 RPM or 45 RPM) is adjusted manually, by shifting the drive belt to the larger pulley on the motor axle and vice versa. Turntable does not have a casing or cover – good for the appearance and storage of vibration. Bad as regards dust penetration and direct inflow of acoustically-induced vibrations from the air. So, one solution – one compromise… But that’s the case with the most expensive turntables. The tonearm is a “S” shape, classically designed, with a classic Cardan bearing that allows the tonearm to be started in all directions. The customer in the package also gets a solid Ortofon 2M Red MM Phono Cartridge. The speaker signal was sent to the Pro-Ject Phono Box MM pre-amplifier. Which means that the sound of the turntable combination will be significant and that with some other preamps it will surely be different, maybe even significantly different. What we did and found out in a short test with a top MM preamp. Although it is a very solid MM pre-amplifier, the fully compatible with Ortofon’s OM 3E speakers, it is very certain that this turntable can withstand a better quality cartridge(MM) and a better MM preamplifier. However, it should be noted that the Phono Box MM and Ortofon OM 3E are excellent – Pro-Ject’s sound is warm in the high part and the mid and lower part of the sound spectrum has been overwhelming, whereas in those parts of the OM 3E sounds a little over-rated (at the highest), or suppressed (in the middle and lower part of the palette). Likewise, there will be plenty to get if the turntable is upgraded with the addition of the Pro-Ject power supply unit Speed ​​Box II. Speed ​​Box SE II can also be used, but it is more suitable for high-end company’s turntable sets. Phono Box MM preamp belongs in the Pro-Ject’s Box series. It is housed in a small, metal housing that is strong enough to protect the electronics from vibration, but also to prevent electromagnetic entrapment from the environment. The interior design is based on the use of high quality, low-pitched integrated circuits, and dual-monaural design, which significantly contributes to the improvement of channel separation(which is very important in the signal from the cartridge). On the back are gold-plated input/output connectors, and a separate power supply unit allows the preamplifier to operate quite silently. Specifically, even when the volume knob on the (pre)amplifier is turned fairly more than normal listening volume, noise from the speakers will be hardly audible. RPM 1.3 The Genie turntable costs at approximately the cost of quality electronic scales by which we determined the tracking force of the tonearm/cartridge set. And for that reason any discussion of his possible disadvantages should be completely unfair. But even in spite of the absurdity that the device setup tool is just as much as the device itself, we could not find some serious faults on the RPM 1.3 Genie turntable. The first thing that made us excited was the exceptional precision and durability of the rotating platter. There are also good specs and good technical data for wow and flutter, which, of course, are not overwhelmed, as it often happens to be in cheap turntables. That is why the sound as a whole worked steadily and well, without “swinging” and passing the needle through more demanding structured grooves of more complex music tracks. This is especially well noted when playing bass frequencies in which any deviation from the correct speed is easily felt as “twitching” and swim tones, such as focus loss and grumble. Still, the bass was not quite clean or extremely fast, which was mostly felt at quiet levels when a rumble was noticeable, probably from the motor unit. Despite all this, the bass area of ​​RPM 1.3 Genie set can be very good. In the central part of the tone spectrum of Pro-Ject, the combination sounded clear and loud. Even in the reproduction of loud, complex music shares, he did not get the impression that he was out of breath. So the reproduction was gently, easy and fluid. The details were quite enough, though the finest ones were not impeccably reproduced. The stationary noise dose at the edges of the signal prevented the finest details from being sounded brilliantly as it could be heard with high quality and top-level turntable integrations. The high-altitude area continued nicely and neatly in the middle, so the transition did not feel. The high-tone sound itself sounded pure, mildly, naturally open, and most importantly unobtrusive and toilless. Probably the sound of that part of the spectrum will not impress audiophiles, but this turntable is not really intended for them. In a quality system that is not focused on analysis but listening, these small flaws will not be heard, and the virtues will be clearly present. When it is well-sealed from the environment, on a high-quality base, or even protected by a lid(which the user can make from a transparent plexiglass) RPM 1.3 Genie turntable will transfer the dynamics of a piece of music very smoothly. Contrast between silent and loud parts will be clearly displayed, without smudges and vague edges. Transitions and jumps, though not extremely gentle or maximum, seemed to be sufficiently convincing not to interfere with listening pleasure. This Pro-Ject’s turntable also reproduce even the spatial dimensions of the sound very good. 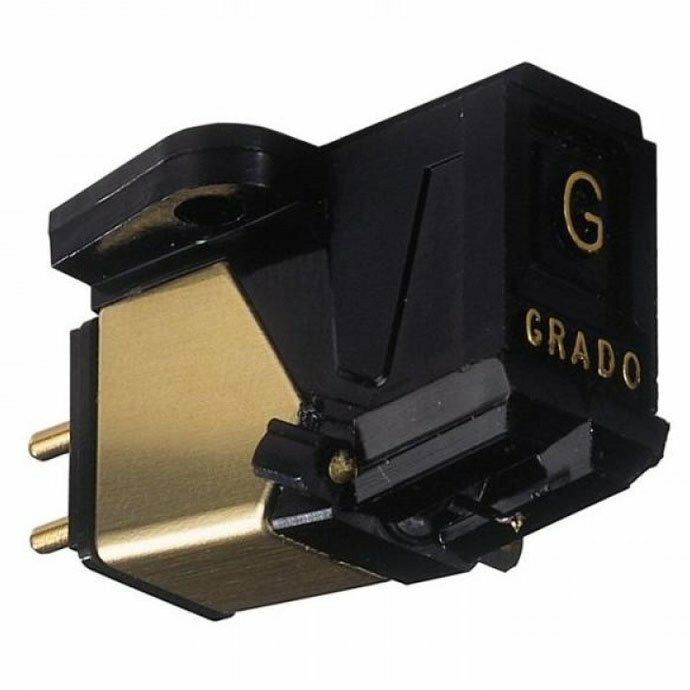 For turntable it is known that the reproduction of this element is excellent, and the RPM 1.3 Genie is great in this part in its price class. Among the best, in fact. All the key features and soundtrack dimensions were clearly indicated, but none of them could be pronounced superlatives. However, their consistency deserves praise. In the price class undoubtedly, but also beyond. The turntables are back again. Many of those who did not sell all their LPs, returning them from cabinets, attics, basements to the living room, and those who did it or those who “missed” the gold vinyl because of the youth, bought new records and are looking for old editions. Turntables like Pro-Ject’s RPM 1.3 Genie have definitely contributed to this.